Dedicated to UPSC preparation: We are the only Institute in India to provide dedicated correspondence course for General Studies (Civil Services Preparation). The intention of the course/program is to provide quality study materials (mains) to the students and let them go through it seriously. In case, of any confusion about the subject-matter, they can directly talk to the expert(s) (teacher); with prior appointment. Our correspondence course is interactive i.e. teacher’s facility is available. Supply of study materials: General Studies (mains) study materials will be supplied in one or maximum two phases, to the correspondence/postal address provided by our students. Confident: We guarantee quality General Studies (mains) study material because it has been developed under guidance of Elite IAS Team. Othe them to it, we provide interactive correspondence course. This is of great value to our students. Reason for Confidence: All our educators have long years experience, from 16 years to experience them have faced UPSC interview. So, first reason is that the study materials have been prepared under guidance of highly experienced teachers. Secondly, the course is interactive so educator will be in direct contact with student(s) and so cannot escape the responsibility. Weekend Interaction Time: On Saturday between 11 am to 6 pm, the time has been reserved for students of Correspondence Course (Interactive) and Online Video Classes. Students enrolled to our postal courses can contact the teacher via phone or email, with questions and queries related to UPSC preparation or subject-matter. Study Support: One (1) year full study support. Student can consult the teacher even after the completion of Correspondence course (distance learning course), via phone or email. Note: Our study materials have been recently updated in 2018. Any other updates (like Case Studies, Legislative Acts etc.) within one year of your purchase will be sent to the students free of cost. 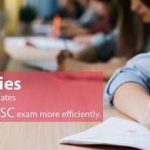 For Detail Information Please Contact to Elite IAS – Best IAS Coaching in Delhi for UPSC Exam preparation.